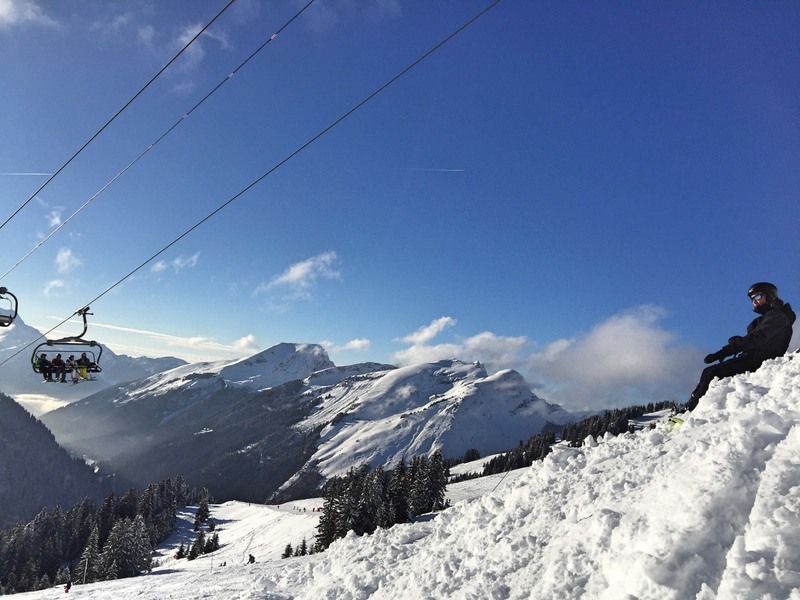 Here’s my photoblog of our first winter season in Portes du Soleil after completing our chalet renovation. 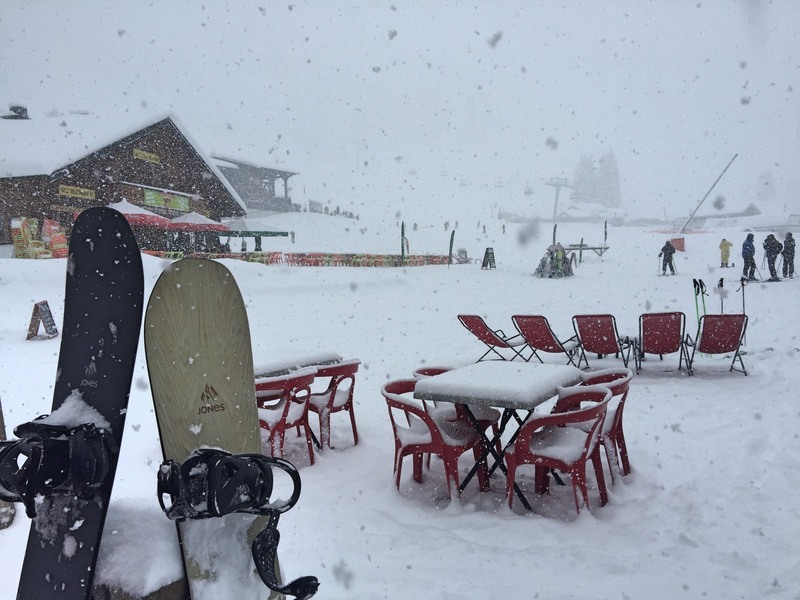 The winter season in Portes du Soleil started slowly as we waited for big snow and it came in early January… so for the first day out on our snowboards, a white out! Hooray! and we had a great excuse to use our new, snow shovel to clear the drive when we arrived back home. 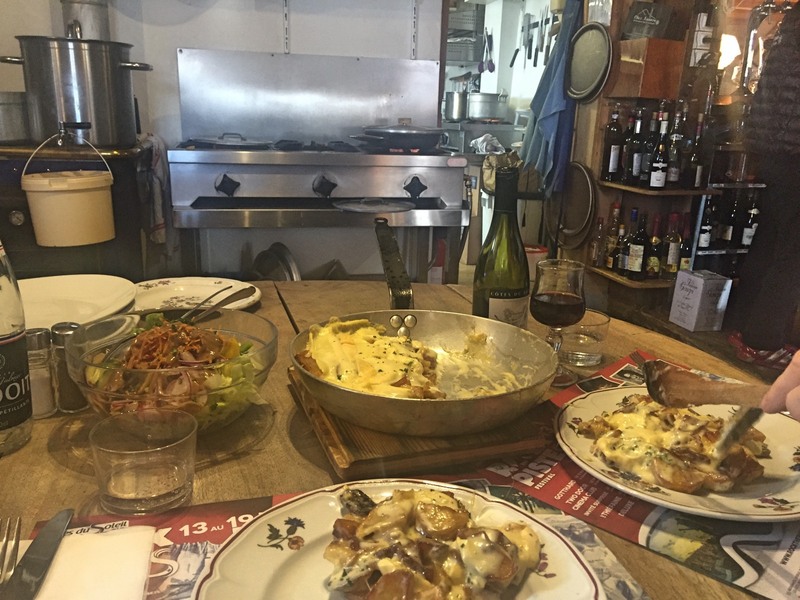 We didn’t reserve a table for our first visit of the winter season to our favourite mountain restaurant in Portes du soleil, Chez Nannon so, now as frequent visiting locals, we had the best table in the house! A corner of the preparation table in the kitchen to watch being cooked and then enjoy Patates au Reblochon! 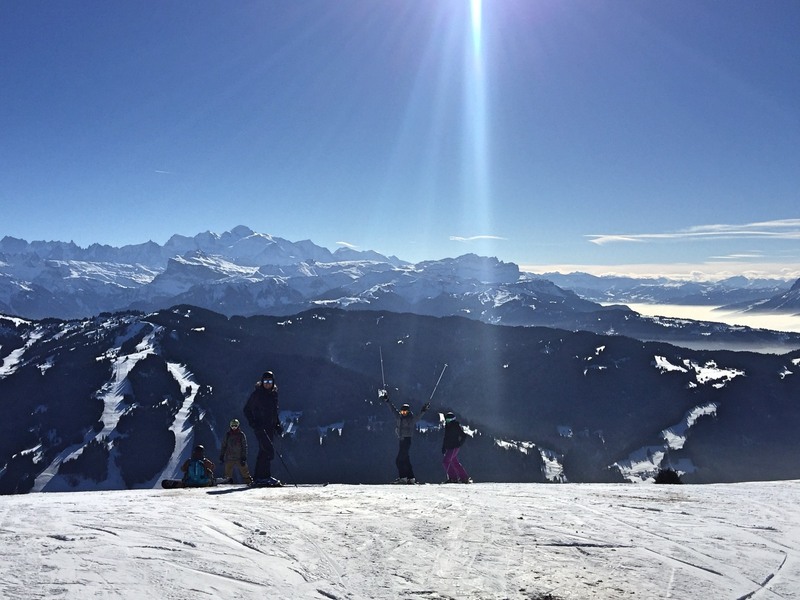 With beautiful sunshine the powder us snowboarders love disappeared so we took the opportunity to try skiing again, on perfectly groomed pistes. After over ten years dedicated to snowboarding we were probably a little premature trying off-piste on the first day but it was very entertaining watching Adam put his ski back on! a little drinking and then a lot of dancing in ski boots! Well why not? 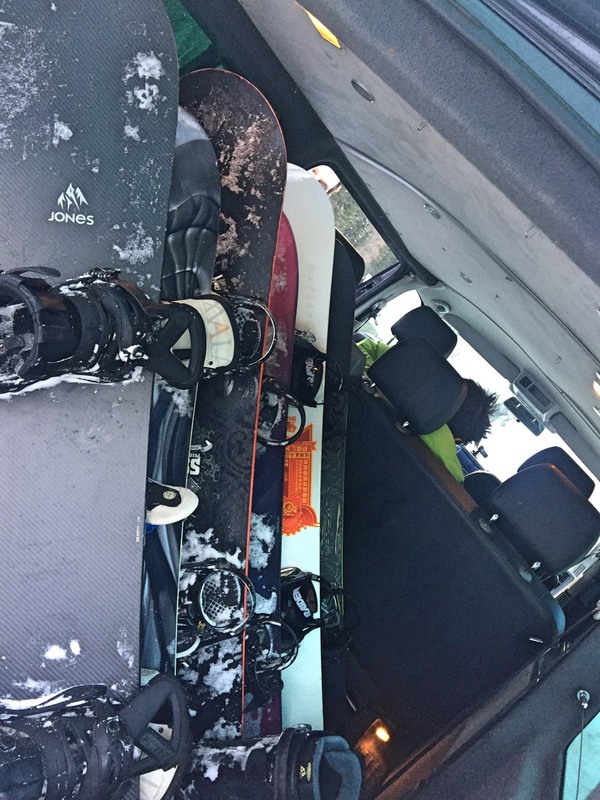 for a few fun days of great boarding, great food and most of all great company. 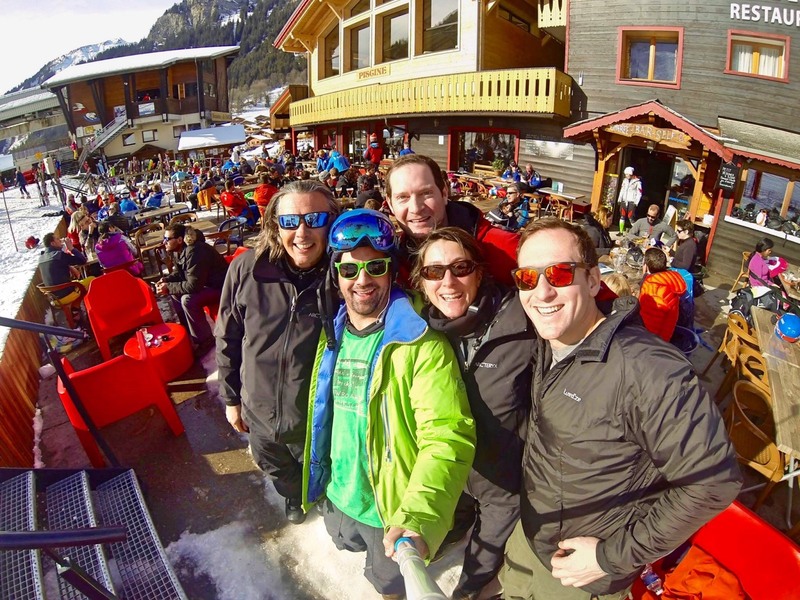 we were held up going home when we found friends at Happy Hours and an Ibiza DJ playing fantastic dance tunes for apres ski! A change of pace and activities with the visit of my nephew. We celebrated my sister’s birthday with a few days of fantastic fun sledging, throwing snowballs, lots of cheese and cured meat feasts and a day teaching a five year old how to ski! 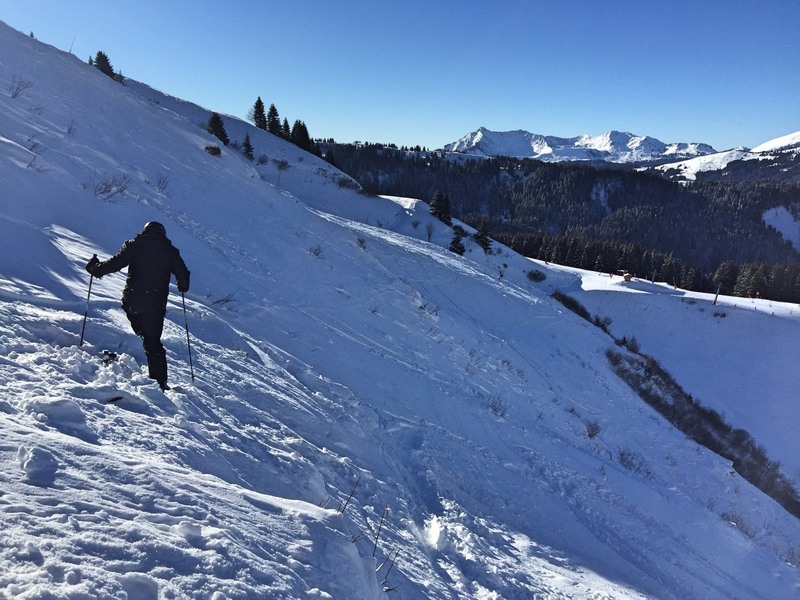 When Max and Lucy arrived at the beginning of March we loaded the snowboards again and headed to Ardent where we know some great off-piste runs. Fresh snow and our off-piste adventures tested Max’s snow boarding legs a little and we all had a fantastic few days in the fresh powder and out and about in town. When the snow storms came again a few days later we experience skiing more on our own than we ever anticipated. 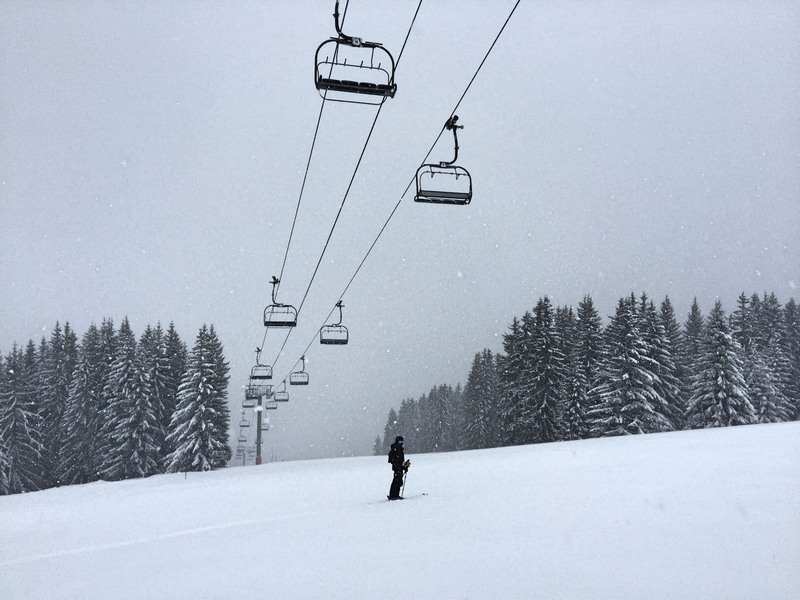 All lifts and pistes in Portes du Soleil were completely closed one afternoon due to an impending storm. 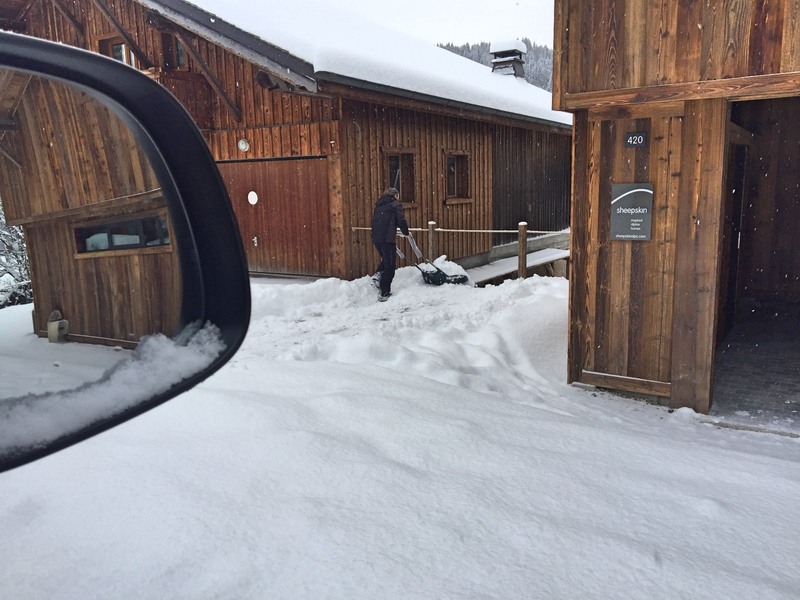 We would have been stuck in Avoriaz, several miles from our car, had it not been for a very helpful and thoughtful piste secour gentleman. When we explained our predicament to him, by the ‘piste-closed’ fence he was guarding, he swiftly attached two tow ropes to the back of his ski-doo and asked ‘Are you good skiers?’ ‘Good enough, we hope’ we replied. ‘Hold on then’ he yelled as he accelerated his ski-doo up the closed piste towards our home run in the next valley. We grinned and chuckled at each other as we zoomed up empty pistes and past closed chair lifts. I am not a good enough skier to have taken pictures whilst on the ski-doo unfortunately! Maybe next time. When he dropped us at the top of the, normally busy, Zore piste we enjoyed an eerily quiet and empty run back to the car with the wind occasionally blowing us to a stand still to remind us of the force of nature. Mid March the ‘boys’ were in town for our annual ‘boy’s ski’ weekend. We had dutifully been out, on glorious fresh powder I hate to say, testing ski runs, bookings bars and restaurants so that we could make the most of every day with the group. The bars were well and truly tried and tested over the next few days though we didn’t get to all of the pistes that we had planned. As usual an amazing, few days that left our stomach muscles sore not from exercise but from laughing so much! 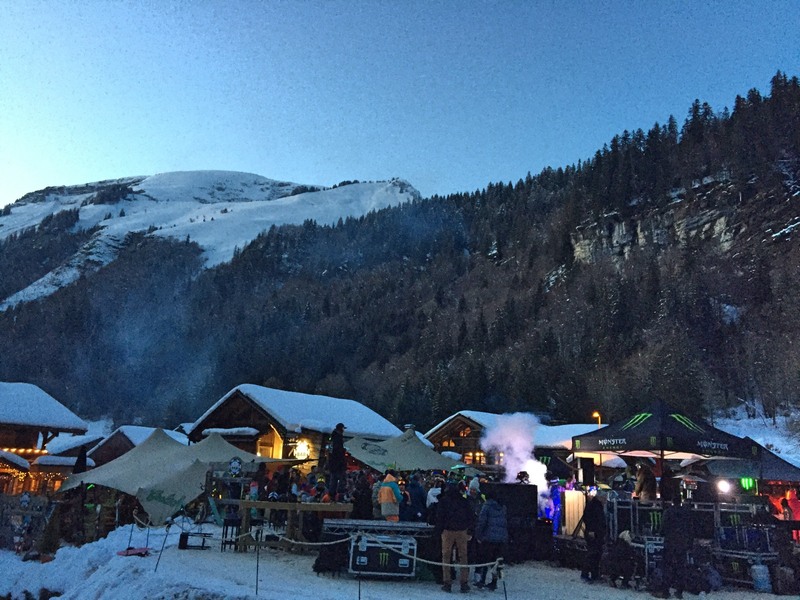 No rest for the wicked – the following week was Rock the Piste! Live music concerts played at various locations in the mountains, on the piste, around Portes du Soleil. Matmatah, favourite of our friend David who donned his Bretagne flag/cape for the concert in support of his fellow Bretagnes. We carried on doing our snow dances into April hoping that the white stuff would hold out long enough for our last visitors at Easter.